From the ancient seaweed eating sheep that graze around the foreshore managed by the ancient sheep court, to the lighthouses that stand proud at the north guiding the shipping with the tallest land based lighthouse in the UK. The stunningly beautiful sandy shores to the south and east, dramatic rugged coastline to the north and west, and the peaceful centre area are all wonderful to explore taking in the beautiful scenery, and wildlife. North Ronaldsay is where old traditions and customs are still a rich part of island life but this innovative island also embraces the 21st century. 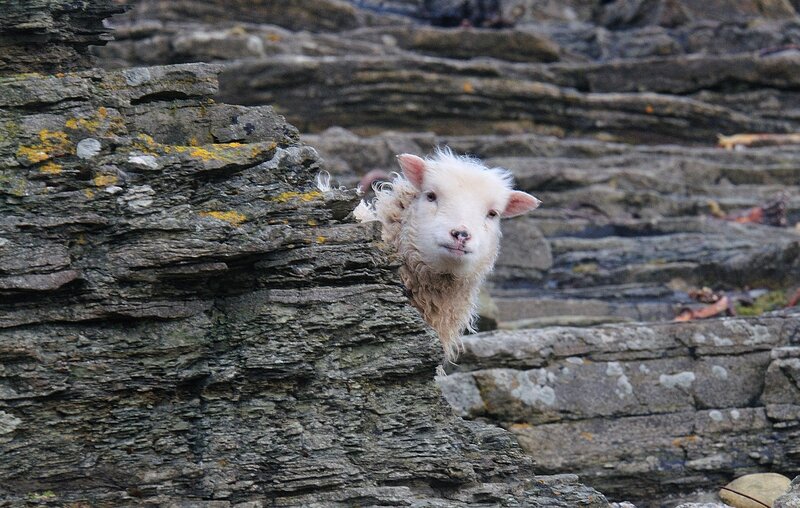 Its easy to see the islands ancient breed of famous seaweed-eating sheep as now nearly all have returned to the foreshore following the ewes lambing and the sheep being clipped of their fleeces. Their fleeces will be dried and then traded through the local Wool Mill where the fleeces will be spun into yarn which is sold to many destinations around the world. Planning is well under way for 2019 to deliver another fun packed programme of events to compliment the days work of repairing the Grade A listed Stone Dyke that runs around the island ensuring the famous s remain on the foreshore. A whirlwind fortnight of activities centered around the rebuilding of the islands Sheep Dyke has come to an end. 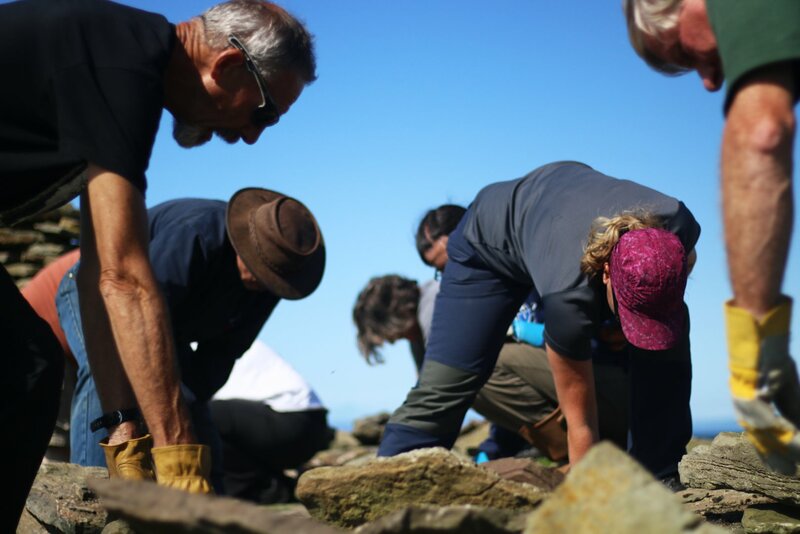 43 volunteers from Orkney, Scotland, England, Canada, and Hong Kong came to the Island and built 250 paces of dyke, equating to the movement of 250 tonnes of stone. When away from the wall there was a pleather of activities from evening talks on North Ronaldsay Sheep management, tannery, music and film evenings. there were organised tours of the island Wool Mill and Lighthouse, dances, bake off competitions, BBQ, plays, quiz, and an international football match, residents against visitors, which was won by the visitors.